It’s Back! 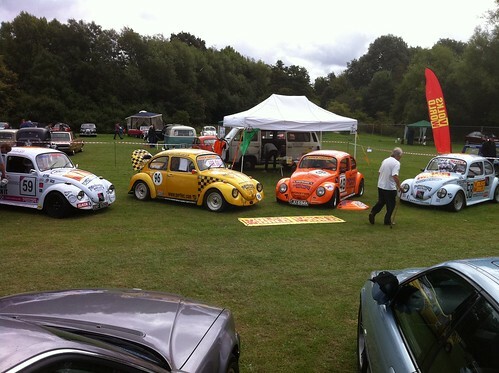 …For the first time in over a decade we are going to see Classic Aircooled Bug’s Circuit Racing. It’s Bigger! …With an unlimited engine capacity and minimal restrictions it’s as accessible as possible to all. 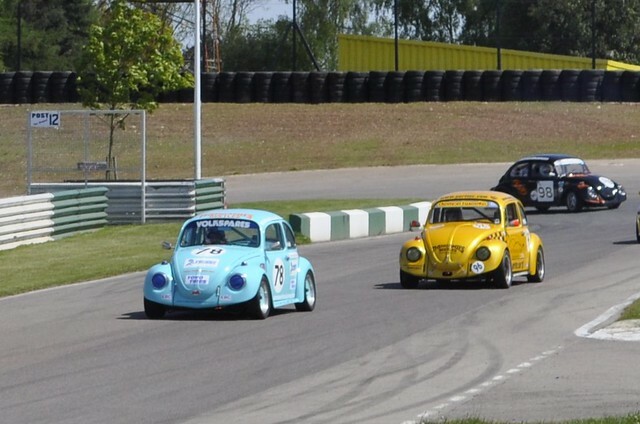 It’s Bug Racing! 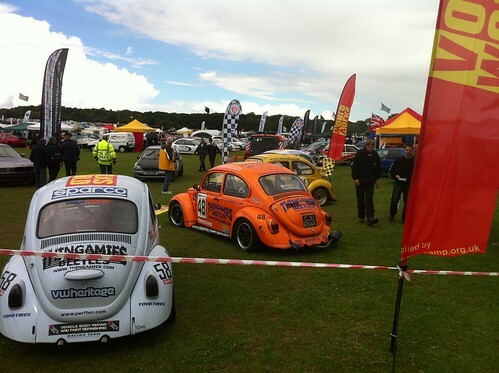 …In its raw, grass roots, low budget racing form! It’s actually happening! 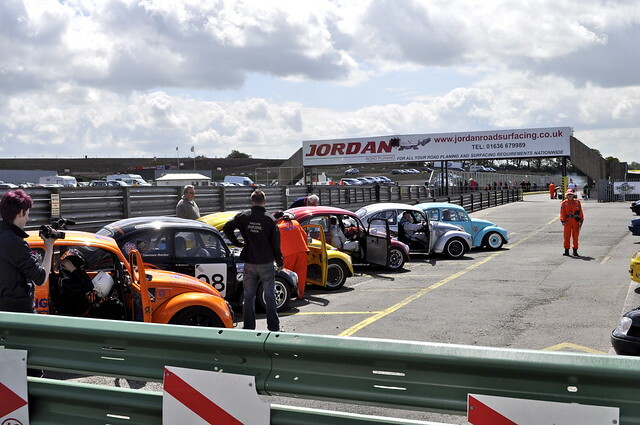 The regulations have been approved, the circuits have been secured, the grid is forming – and there is an open invite for drivers to join us at any time in this year (What are you waiting for - come racing!). 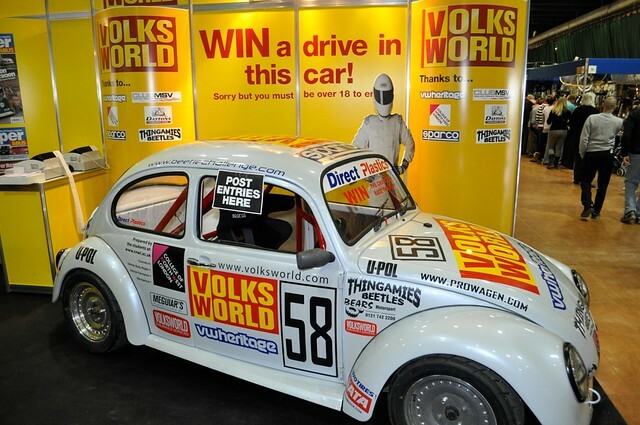 If you have you are a reader of VolksWorld magazine, you would have seen the build up of their very own Challenge race car and the extensive product testing features using the No.58 car. 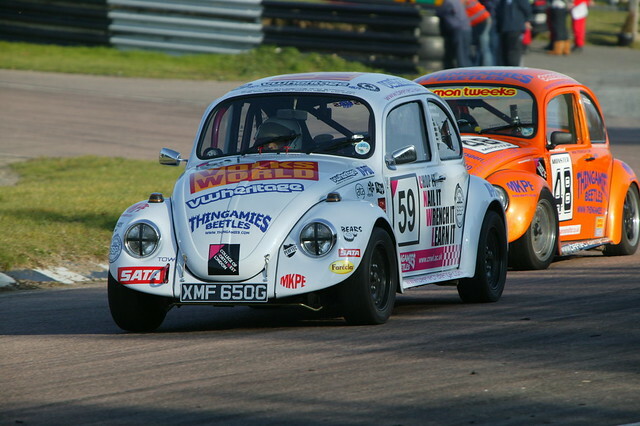 The eagle eyed readers will have also noticed the sister car No.59 which the college built simultaneously, with the generous support VW Heritage (www.vwheritage.com), they revealed the car at the VolksWorld Show in March 2011, and the car took the top step on the Podium in its debut race at Lydden Hill, with Trigger of Thingamies Beetles piloting the car to its win! The unlimited engine capacity is NOT a barrier, as it might first appear, the point is to allow anybody with whatever type 1 based running gear they have, the opportunity to participate. 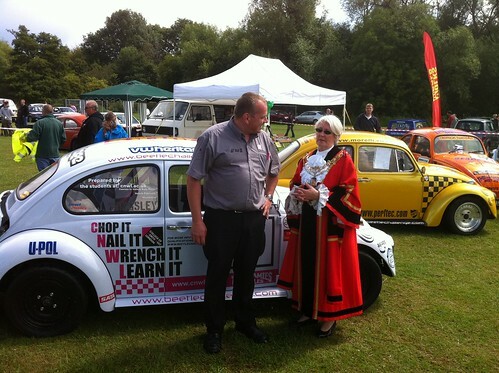 There is provision in the regs to allow us to handicap cars to ensure a level playing field, but to be honest I feel that it is likely to be self regulating due to the diversity of cars, engines, capabilities and of course the control tyre. 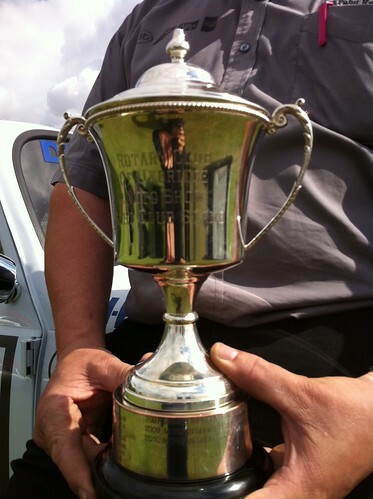 All of the drivers want close racing (that’s the most fun) but we are well aware of the fact that over the past decade we have all gone off, brought and developed a variety of engines with the abundance of new after-market parts which are so freely available, and we want to be able to use them. 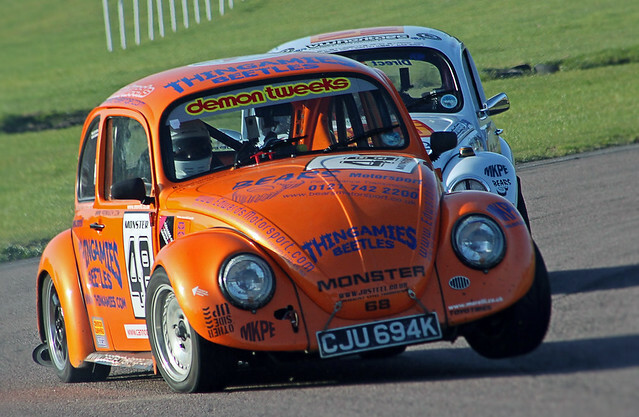 The ambition for the series is to see beetles back on the grid, as cheaply as possible, without the need to spend mega bucks (More of a use what you have got or can get hold of - to join in the fun attitude). 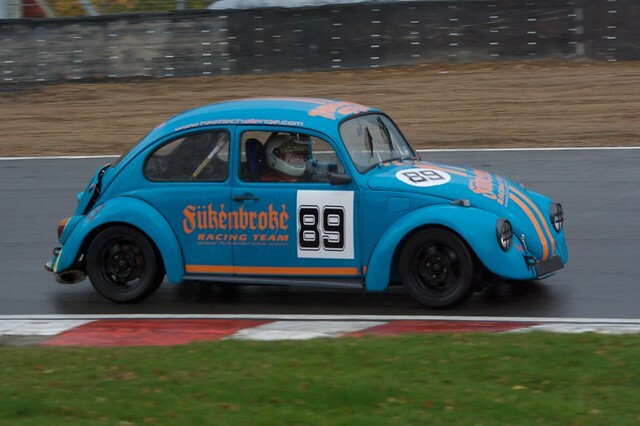 This is a full blown racing series for pretty much track-day money! The restrictions have been kept to a minimum for many reasons, not least to encourage everyone to dig out what they have been collecting over the past decade, and assemble a circuit racer with it! (And this is exactly what has been happening! 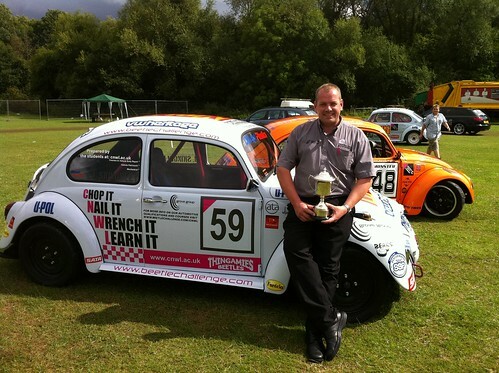 Nigel ‘Moog’ Howe currently has the very first car he owned.. a Jeans Beetle.. up at the College of North West London being prepared for paint (Supplied by sponsor MKPE (www.mkpe.com) and is being prepared for a 2012 debut at the VolksWorld show, then will be campaigned in anger in the new race season! 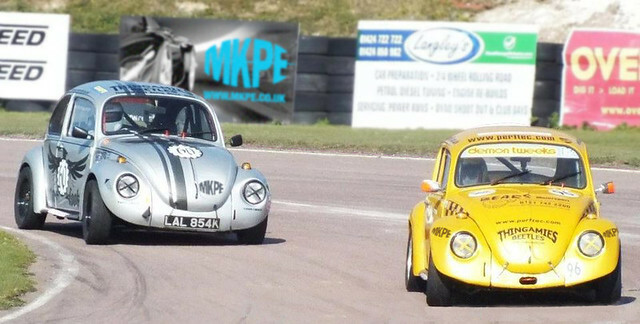 We want this to be the most affordable, fun racing we can have, and it looks to be some of the cheapest racing in the UK! 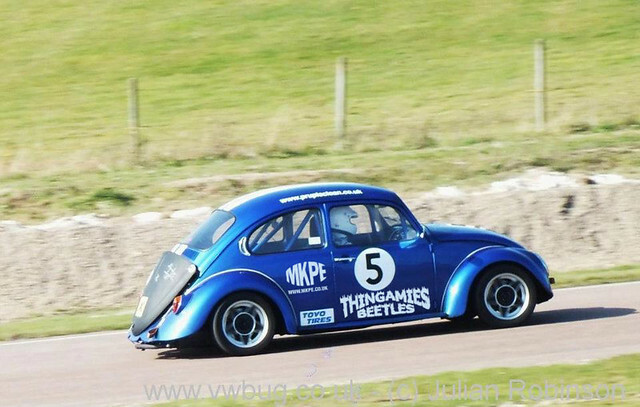 For the first few seasons we will be running in our own ‘Beetle’ class within the BARC TinTops race series, which is an open championship running on the same control tyres as us. 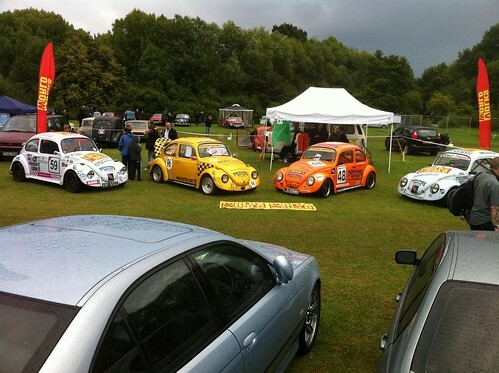 (Should make for some interesting racing, seeing beetles mixing it up with other modern manufacturers!) 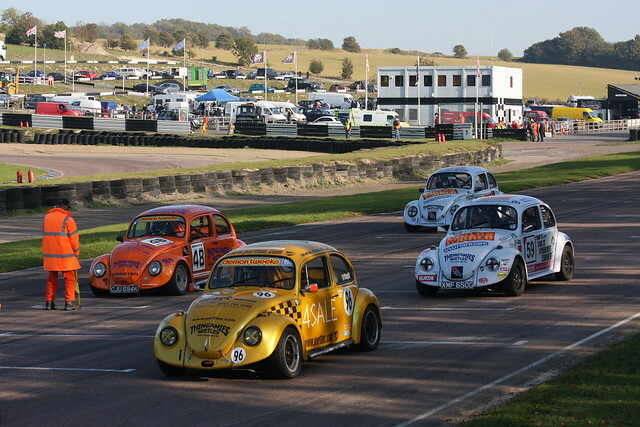 Also in 2011 we will have our very own grid at Lydden Hill Circuit on Oct 22nd - the first all beetle grid for over a decade! 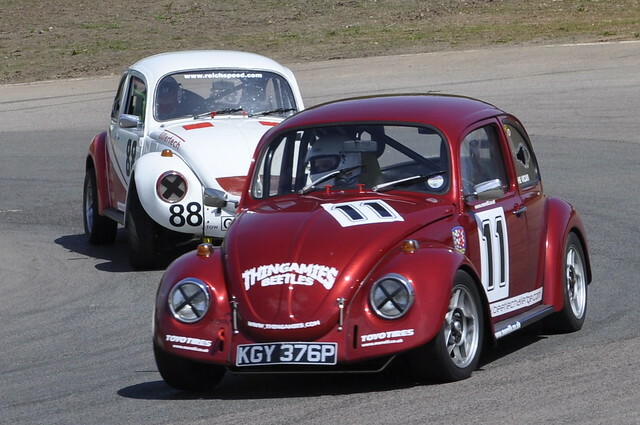 The key thing we want everybody to understand is that the unlimited engine capacity is not there as a physical/financial hurdle to stop you participating - it has been sanctioned to make the series more accessible based on what you have available in your workshop/garage/bug. The fact is with such flexible regulations, it really is anyone’s game! 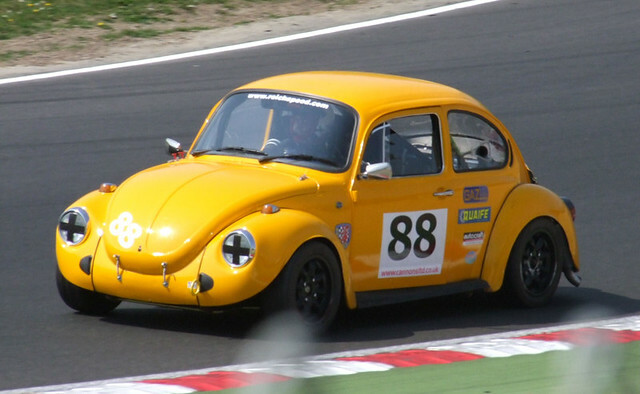 Who know what couldbe the best car/engine setup to lead the field? 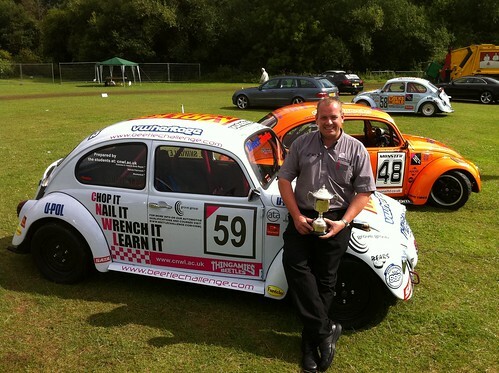 a 1776cc engine in an IRS bug annihilate a 2165cc swing axle bug? a torquey motor be able to out drag a higher revving motor that holds a gear mid corner? a low compression 1835cc motor prove to be more reliable than a 2007cc screamer? Only smarties have the answer! - or do they???? 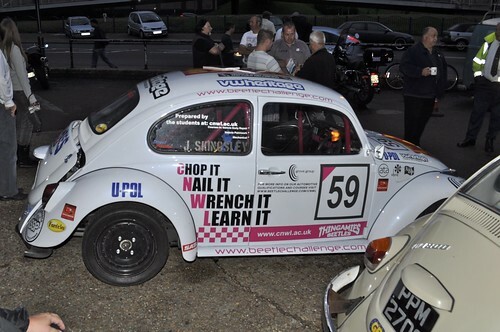 We have seen the likes of Dave ‘The Bandit’ Charlton campaign his 1600cc 1303 (that’s a heavier car with a small motor), taking the title and many class wins. 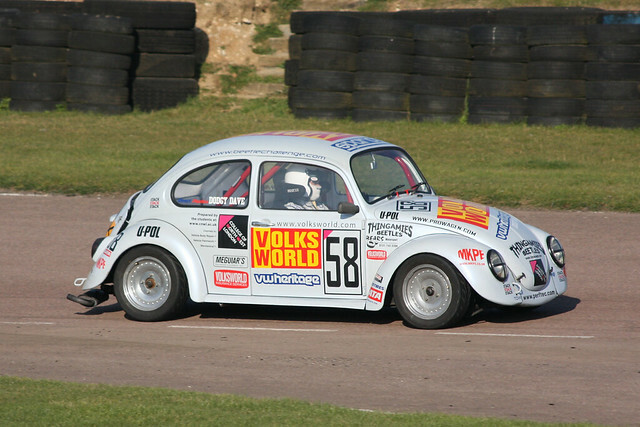 The VW Heritage supplied all-new 1641cc engine in the VolksWorld car has proven itself as being reliable, and has taken a podium spot on it’s debut race. We have seen the battles between 1835cc, 2156cc, 2332cc motors and still have the mouse motors snapping at their heels and finishing higher in the standings! 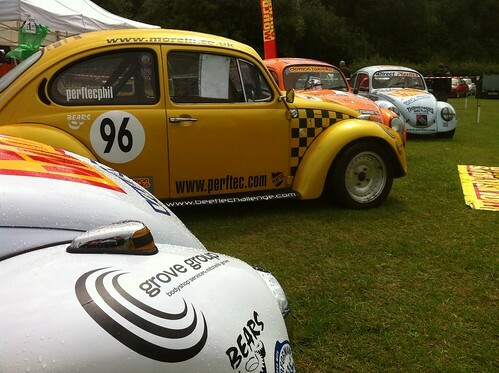 (Perftec Phil in his ultra-reliable 1641cc ex-cup engined No.96 Bug has been fighting from the middle to the front of the pack of bugs on many rounds!) So capacity most definitely is not the big advantage you might at first assume! 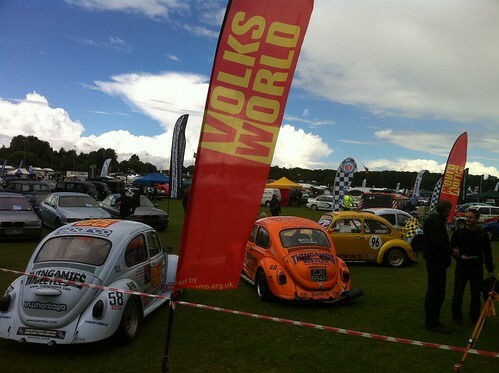 - Reliability and setup are the key factors! 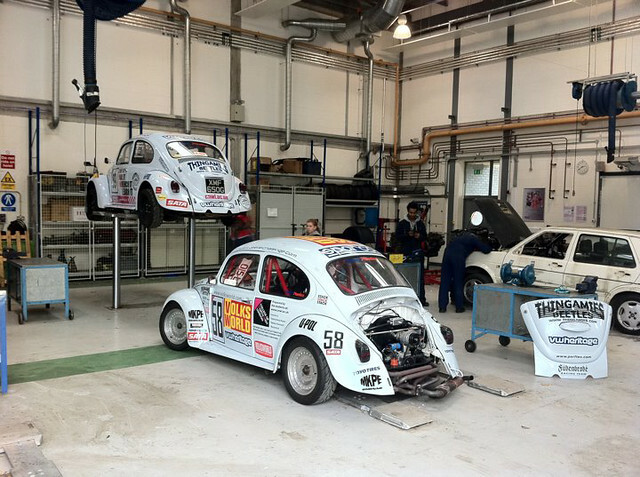 With the control tire and the quirky handling set-up of the bugs, the so-called “capacity advantage” dilutes considerably… So it all filters down to the fact that we want a capacity grid.. not a capacity restriction! 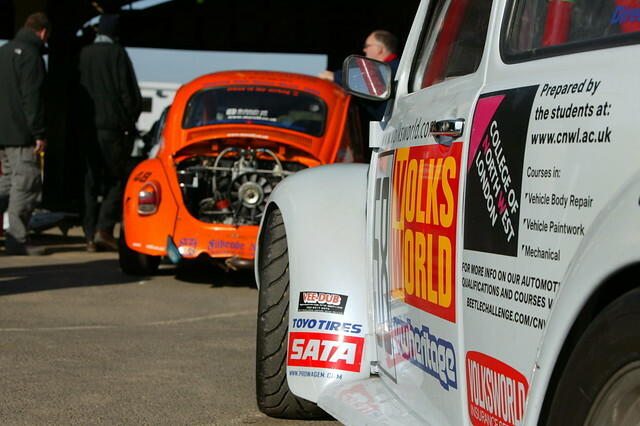 For further press, sponsorship, technical or general enquiries contact us. 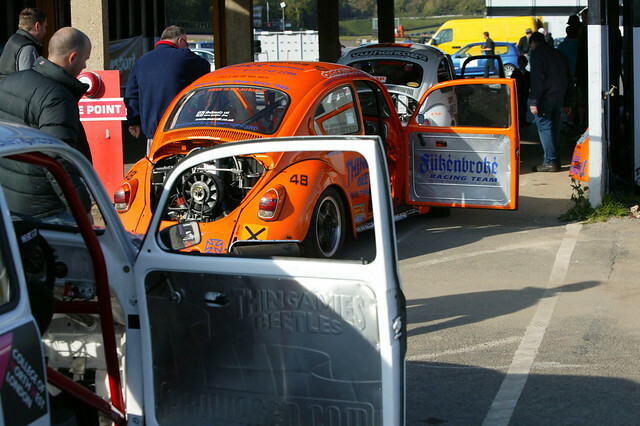 If you want to know what you need to do to come racing, check out the ‘Getting Started’ content. 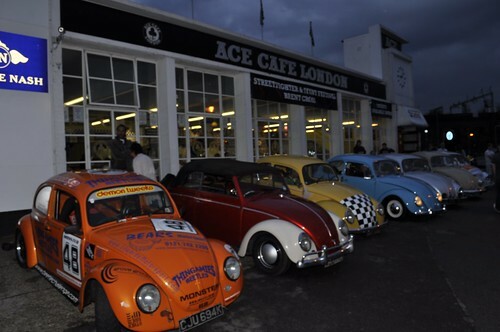 You can also register to race here.